Uber is one of the most prominent platform businesses. They are admired by innovators & entrepreneurs and not so much by some others. And Uber has been in the news a lot recently. But not for technological prowess. They are the best example that innovation is not just about technology. Over all the recent excitement, some of the most important elements of their business model remain under-reported and little-known. I am covering Uber’s business model in all important details. By the end of this article, you will know more about Uber than most people do. 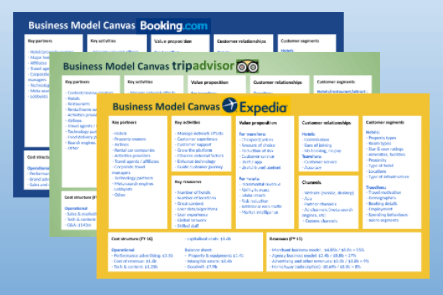 The Business Model Canvas invented by Alexander Osterwalder is one of the most popular strategy tools. If you don’t know it, don’t worry. It’s just a great way for me to explain business models in a structured way. Let’s use it to understand Uber! This is the Business Model Canvas as devised by Alex Osterwalder. We are going to use it for platform businesses. 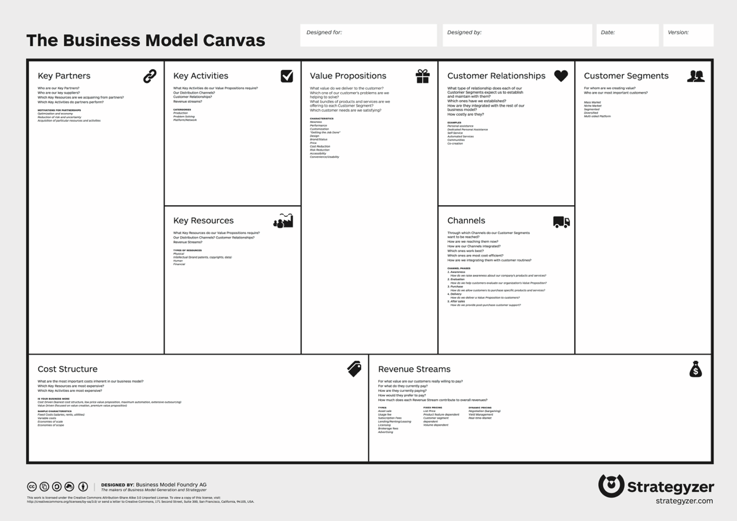 You can download the Business Model Canvas template as excel here. 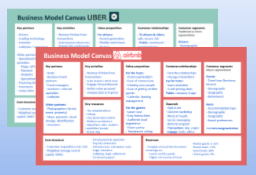 Find the completed Uber Business Model Canvas at the end of this article. Let’s go through the canvas from left to right (from the supply side to the customer. Uber has three types of key partners. Firstly, the drivers; secondly, technology partners; and, thirdly, those that help them become an established company (e.g. investors and lobbyists). 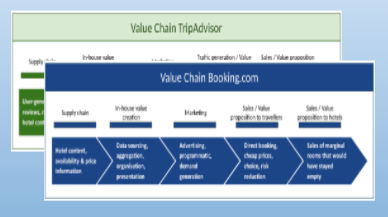 The drivers are the supply side and help deliver the value proposition to the end customers. Technology partners do the same: help create a unique value proposition and remove friction between the riders and the drivers. Investors and other supporters, such as lobbyists, help navigate the rough waters of becoming an established company in the sharing economy. The drivers are on the supply side of Uber and they can join or leave at a moments notice. It is essential to have a sufficient number of them to be able to provide the customer proposition (timely pick-up at low cost). They bring their own cars into the value proposition for which Uber does not have to outlay any capital costs. Without a critical mass of drivers, the crucial indirect network effects do not kick-in which is why Uber accelerates supply when they enter a new city. Uber has its own technology staff which I am listing under key (human) resources. Cloud providers (and many other standard technology and infrastructure providers) are not key partners if what they provide is easy to switch. Partners that offer leading-edge, proprietary (and ideally exclusively provided) functionality would fall into the key partner category. At this stage, there are e.g. Volvo on the self-driving car project; and Otto (now rebranded after previous scandals) or Uber’s self-driving group Advanced Technology Group. Investors/venture capitalists bring the initial rounds of funding to the table. The funding helps to develop the functionality, apps, algorithms, driver-less cars, but is also used for customers acquisition costs and other expenditures. Lobbyists are important for Uber at this stage of the company. Every time Uber enters a new city, they have lobbyists helping reduce resistance (in the US). Uber has left cities that have put up too high obstacles. The aggregate success (or failure) of their lobbyists can make a considerable difference to Uber’s trajectory. Once an established company, this group can move to the group of other partners. In countries where lobby activities are curtailed Uber needs to coral other support. From 2015 to 2016, their lobbying expenditures have almost 3-folded to $1.4m per annum in the US alone. In the first half of 2017, Uber spent almost as much as in the previous year. I would not add regulators or governments to key partners. Their job is not to partner with Uber but make a decision on behalf of their electorate. I cover them in more detail in the customer relations section. I am writing about in-depth innovation knowledge that will help you learn from the most successful innovators like Uber and apply to your own ideas. Don’t forget to sign up at the end of this article for future articles similar to this one. Positive indirect network effects are the key ingredient of platform businesses to achieving competitive advantage. 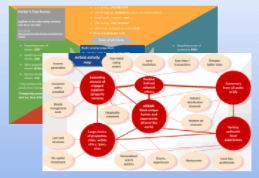 The key activities should revolve around enhancing positive indirect network effects and reducing negative ones. The master resource of your platform are its network effects. It is the resource that needs to be built and the nurtured. The data, the algorithms and the capability to analyse and gain insights are essential. The latter also grows with the size of the network. Uber is a multi-sided platform and as such it has to have a value proposition to both sides, the passengers as well as the drivers. For riders, the value propositions are that it is the best way to get around, to be able to call a ride with one tap 24/7 and track the driver arriving. For drivers, it’s the opportunity to earn, the freedom of choosing their work hours and the ease of getting started. All propositions fall into what economists call reduction of search costs and transaction costs which is the predominant feature of multi-sided platforms. 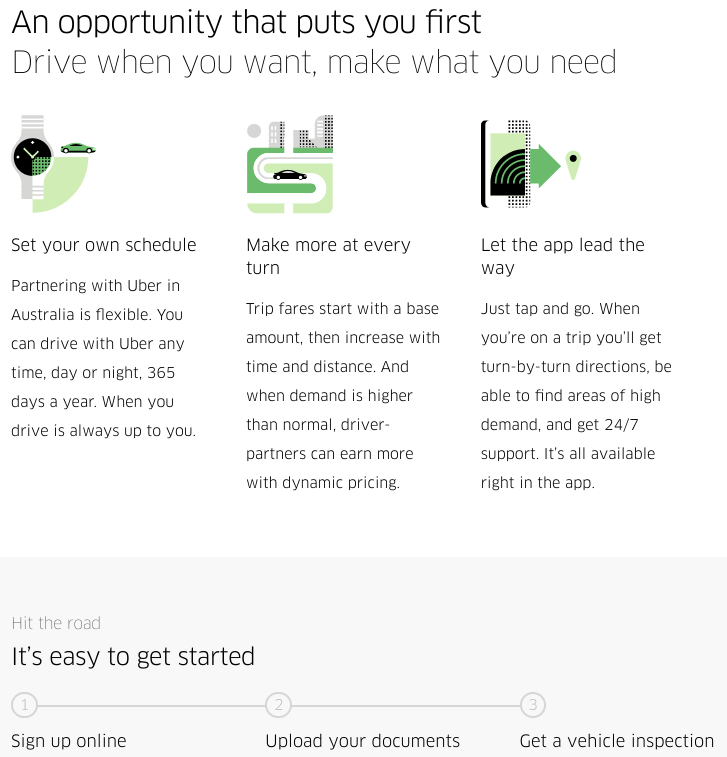 Uber’s proposition to customers is clearly stated on their page. Often forgotten is that platform business models only work if they also have a value proposition to the supply side. Uber reduces the barriers of entry for drivers (here from their page) in terms of the process but also the skills required (i.e. no need to know most of the streets of the city as you can “let the app lead the way”). This also perfectly aligns with what a survey among drivers had shown as their prime motivation. As a multi-sided platform business, Uber will benefit from segmenting both sides the customers (i.e. riders) as well as the drivers. 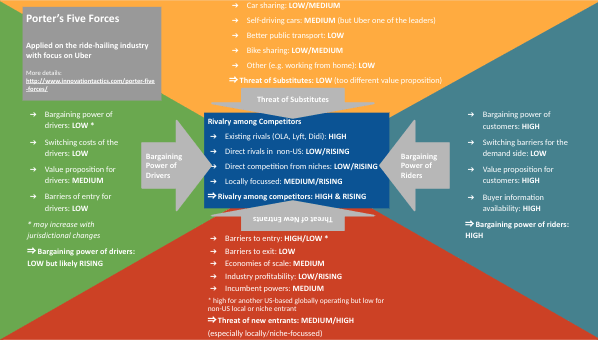 Uber will use a combination of classic market segmentation combined with highly-targeted micro segmentation. As an example, look at Uber’s “helping cities” page which states “In London, nearly a third of driver-partners live in areas where unemployment rates are highest” (see image below). This is a great example for geo-demographic segmentation. Though the example is very location-specific, i.e. London, it can be data-verified for other cities that Uber serves and then aggregated up / used for targeting. 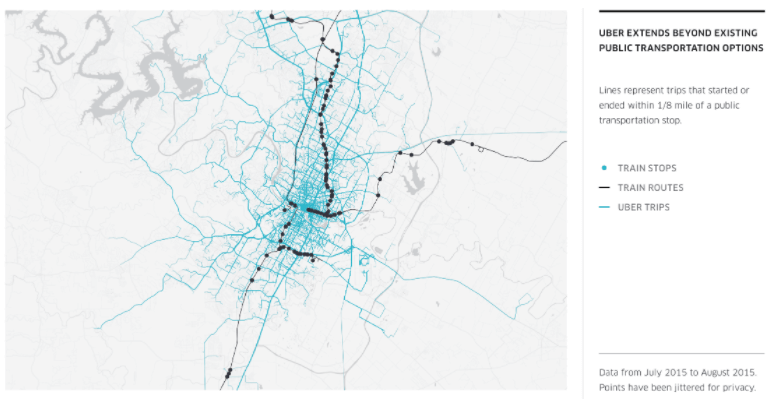 An example for a micro-segmentation is shown in an Austin case study (see below), where Uber tracks trips by proximity to train stations to conclude that “nearly 60% of trips are one-way, meaning people are relying on Uber to connect them to other modes of transportation.” Again, an interesting insight that can be used for various purposes. 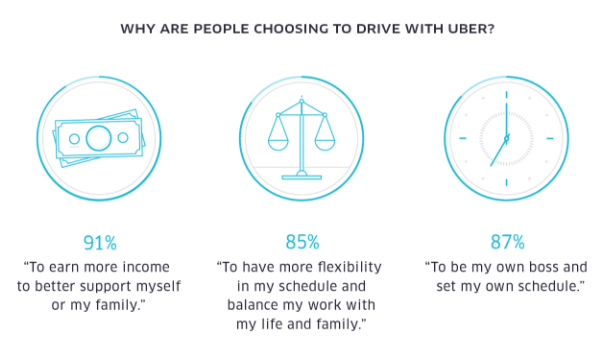 Let’s conclude with some ideas how Uber might segment their customers and their supply side (drivers) meaningfully. This article is packed with innovation knowledge that can help you with your ideas. Sign up for my future articles which will contain similarly valuable innovation knowledge. I will send you the ebooks: “Uber Business Model Canvas,” “Airbnb Business Model Canvas” and the “Complete Guide to the Revolutionary Platform Business Model” as a pdf ebook and some bonus downloads to fuel your ideas and for future reference – all for free. Uber needs to consider four elements to manage their customer relationships. Their relationships to (1) the customers(=riders), (2) the drivers, (3) the broader public and (4) regulators. 2017 has been a difficult year in terms of customer relationships (here’s a list) due to a significant amount of negative coverage and regulatory intervention, i.e. restrictions or bans. At its peak, it lead to the resignation of ex-CEO Travis Kalanick followed by an attempt to make good on their driver relationships. On the more technical side, Uber is using Salesforce as their CRM software and Zendesk as their customer service software. For any platform business, it is crucial to firmly own the customer relationship, i.e. the customer details. Uber, Airbnb and other sharing platform businesses can self-regulate using innovation before an overly negative public forms putting pressure on regulators to come up with heavy-handed, innovation-stifling regulations. Learn here how innovation can help do this! For many online platforms, the biggest cost element are customer acquisition costs (CAC). This is not different for Uber (and its competitors Lyft and Didi). Uber has fought a long bitter war with Didi in China to win on the biggest market in the world. The weapon of choice were customer acquisition “subsidies” (on both sides the drivers and the passengers). * You may be surprised not to see driver wages as a cost element. 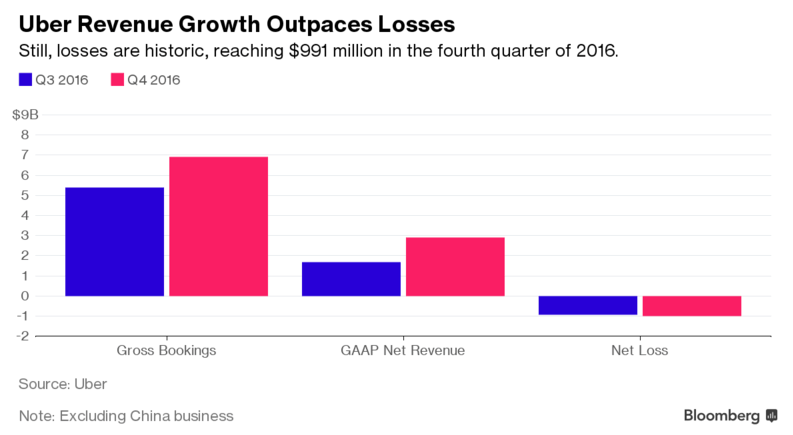 But Uber revenues only include what Uber takes as transaction revenues, i.e. 20%-30% of the fare. Thus, there are no driver costs or payouts as such (this is being incorrectly listed as the main cost in most publications). Here is Bloomberg to vouch for this “Revenue includes only the portion Uber takes from fares, except in the case of its carpooling service; the company counts the entire amount of an UberPool fare as revenue.” This way of accounting also aligns with how other platform businesses account. The reason for accounting UberPool rides differently is likely because Uber’s share on these rides may exceed the drivers share. Since inception in 2009, Uber has spent over $8b – a huge number even for the biggest start-ups. Value of all fares: almost $20 billion at a growth rate of 126% from the previous financial year. As mentioned above, this is not their revenue. They show their Q3 and Q4 revenue below. Now we are getting to an interesting question. On the surface, Uber’s revenues are a mere percentage of the transaction fare of a ride (i.e. a share of the $20B in 2016). But the real question is how a ride plus a transaction fee (of 20-30%) is cheaper than a traditional taxi ride without transaction fees? Uber’s business model would not work if their rides were not considerably cheaper than a taxi ride such that even with the addition of the Uber commission it still remains somewhat cheaper than the comparable taxi ride. Where do these savings come from that enable Uber to be cheaper than taxis even when extracting value for themselves? That is the real question behind Uber’s revenues. The answer is that the cost structures are different. Though there are differences by country and then even on state, city/municipality, here are some of the key aspects. In summary, in case 1, Uber drivers have a cost advantage to traditional taxi drivers/private chauffers. In case 2, they have a comparable cost base (though there is always subjectivity involved in terms of personal utility of the vehicle in times not used for earning money). Essentially, we can assume lower input costs for Uber on this aspect on aggregate. In some (or maybe even in many?) countries, there are license fees for operating taxis which go to the government/municipality. In New York City and Chicago, you will find so-called taxi medallions. Here in Australia, there are the so-called taxi plates. Uber engages drivers as contractors. Thus, they do not accrue annual/sick leave, nor do they contribute to social security, pensions or other entitlement. There are some savings here compared to taxi companies. But there are vast differences between countries what taxi drivers are entitled to. This is obviously one of the most contentious aspects of the Uber business model. But it is not black and white as it is often portrayed. Neither is this discussion is not limited to Uber. It affects most of what has been titled “gig-economy” and I will dedicate a separate article to this topic sometime in the next few months. In any case, Uber is trialling affordable sickness, injury, life insurance partnerships for their drivers. One of the potentially most interesting cost savings comes from Uber’s ability to achieve better prices for their drivers’ input costs. Uber staggers the benefits depending on the activity of the drivers. Those that drive more, can achieve more savings. There are discount levels from bronze to platinum. Note, that some of the 3rd party discounts are also available to the provider’s retail base, e.g. their loyalty members. In some cases, the Uber obtained discount may be higher or the driver can join the program without membership fees or incurring other expenses to get the discounts. It is definitely an economic benefit for drivers and a strengthening of Uber’s business model in that scale can lead to lower unit cost. The most important insight should be that the revenue is not just the sum of transaction fees. The question will always be if a platform can create enough cumulative value for its participants so that it can capture value for itself. Understanding Uber: we are covering all the important details that make all the difference! 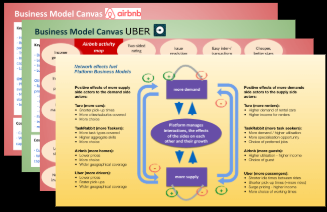 Uber uses the platform business model and leverages positive indirect network effects between the supply side (drives) and the demand side (customers/riders). As the number of participants grows in a city, the benefits enhance for both sides and for the company (professor Damodaran sees strong local network effects contributing triple as much to market share prospects than no network effects, see valuation excel ‘Input’ sheet, column ‘E’). Drivers have less idle time and thus higher hourly wage (i.e. they can work less hours for the same take-home pay). Customers have shorter waiting times. Uber’s input costs are lower as it utilises already purchased assets, pays no license costs and doesn’t pay employee entitlements. 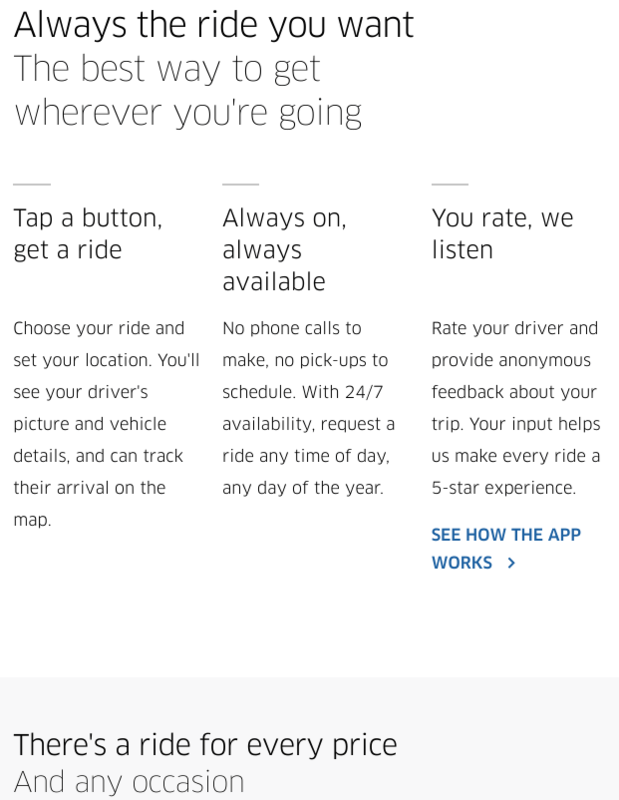 Uber’s value proposition to its customers is compelling. It removes significant amounts of search and transaction costs [pdf]. And their revenue growth has been unstopped despite a string of negative coverage (though their Dec ’17 funding round indicates that their valuation has taken a hit). On the surface, they are low. Anyone can program an app. But will you be able to scale it up? Uber has spent billions in demand generation. Customer acquisition costs are very high as seen in the battle with Didi. Will investors be willing to fork out capital for a new entrant to fight an already established brand like Uber? Will a new entrant be able to critical mass on the driver side to provide a comparable value proposition (low waiting times)? The most likely scenario here is not that another global Uber emerges but rather several local competitors (Ola in India, Didi has managed to fend Uber off in China, Lyft is now concentrating its resources to the US). A lot of locally-focused entrants may dilute Uber’s strength (i.e. financial resources) enough to capture enough market share in those regions. Could new entrants come from unexpected areas? Maybe Apple, Microsoft, Ford, Toyota, Volkswagen or other companies that already have a huge customer bases and a brand who can mobilise them at low marginal costs? Possible, but Uber is moving into many adjacent/complementary areas, such as freight, meal delivery that may lead to better asset utilisation which other players may not want (or be able) to enter. Brand equity: while tarnished temporarily, it is still a major asset and in the long term. 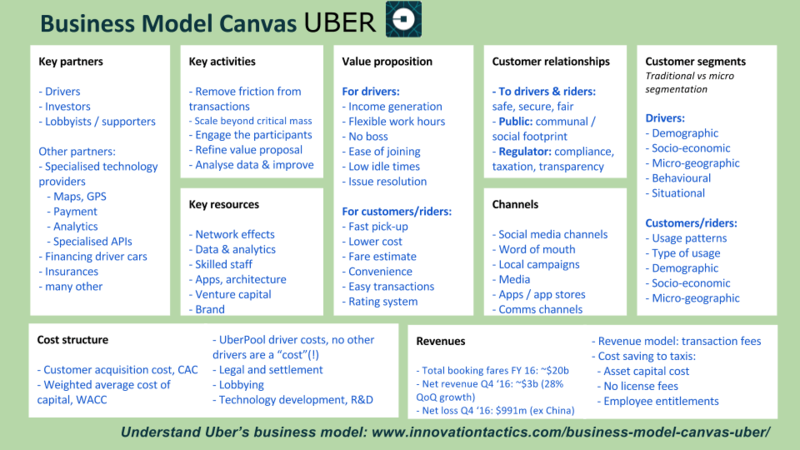 Finally, here is how Uber’s Business Model Canvas looks like. I genuinely hope you have gained a lot of new insights on Uber’s business model. 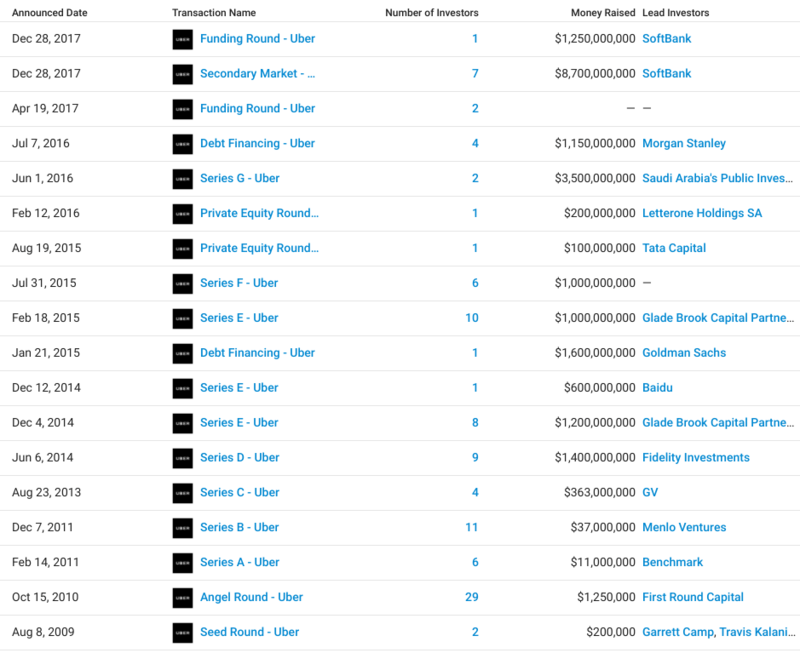 Most articles on Uber barely scratch the surface. I have attempted to give you the big picture as well as all important details below. Understand Porter’s Five Forces Now (with in-depth example Uber)! How Airbnb and Uber and other sharing platforms can self-regulate! 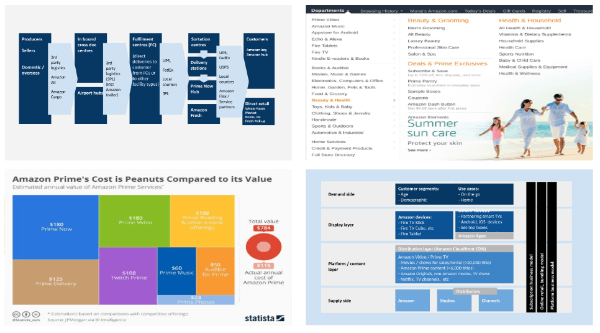 I have covered the platform business model that fuels Airbnb, Uber and many other hyper-growth start-ups extensively in 6 long articles and one comprehensive guide before. 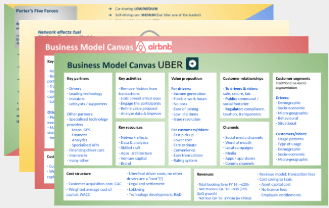 If you are interested in the more generic Platform Business Model Canvas check here. You can apply it on many platform businesses or their core parts, such as Google, Facebook, Alibaba, Uber and many others. I have completely re-written my article about the fascinating Sharing Economy trend that Uber is a part of. This is a must read with many examples & innovation ideas!